Signs of the City brings together the work of seven contemporary, emerging artists engaging with ideas of the city and urban environment. 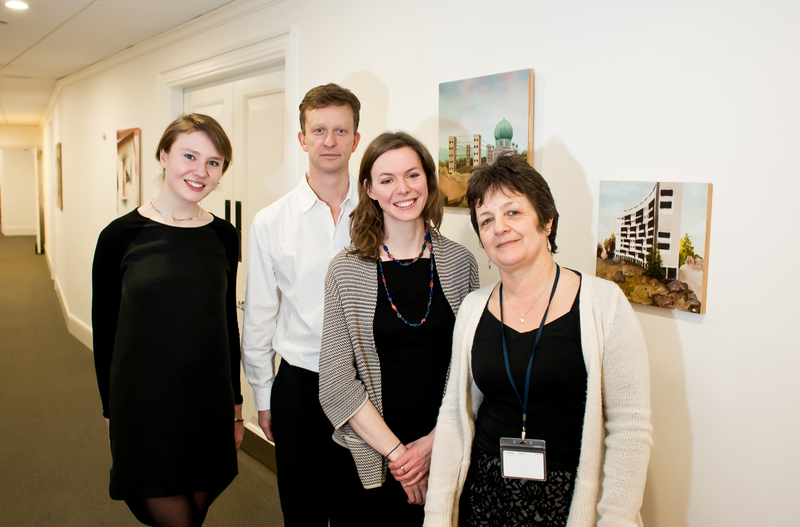 Through painting, drawing, sculpture and photography the exhibition explores the varied and diverse facets of city life. Many of the works within the exhibition highlight the layered architectural scope and history of the city. The photographic works of Jack Brindley provide glimpses of structures and shapes that define our urban landscape. He is interested in how buildings, particularly those built with a utilitarian function, have evolved through time and have developed functions and value beyond what was initially intended. In his series Toil (slow decay), Brindley documents details from concrete modernist buildings that have been commandeered by skateboarders. 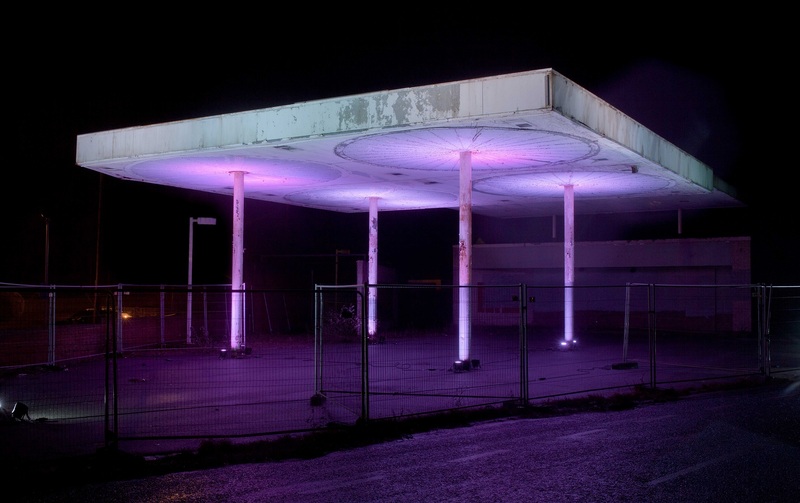 Cowboy Casino by Rob Chavasse documents a light installation by the artist at an abandoned petrol station in the town of Leicester. Whilst inevitably highlighting its derelict state, the work pays homage to a bygone era of modernist architecture and the increasing scarcity of such architectural flourishes in unexpected town and city locations. The sculptural works of Olivia Bax echo the shapes and textures of the city. 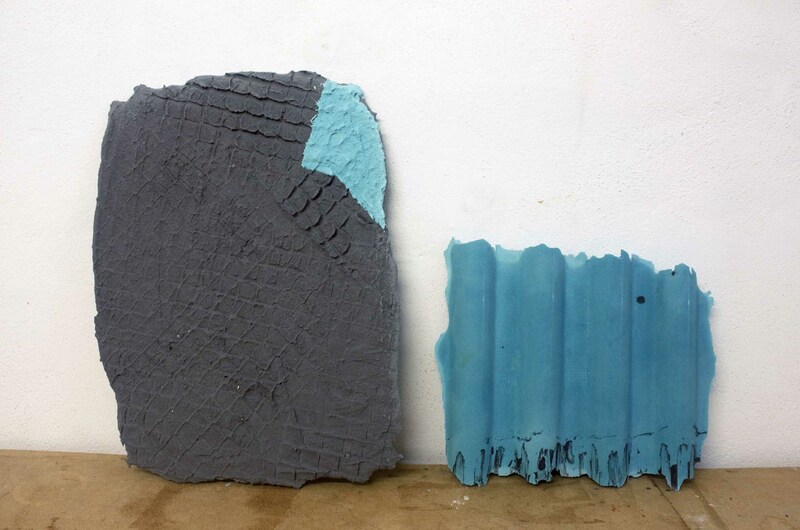 Bax often utilises materials more commonly associated with the construction industry - wire, corrugated iron and plastic roofing panels – as a means of transferring marks and line onto surfaces, or from which she creates plaster casts. 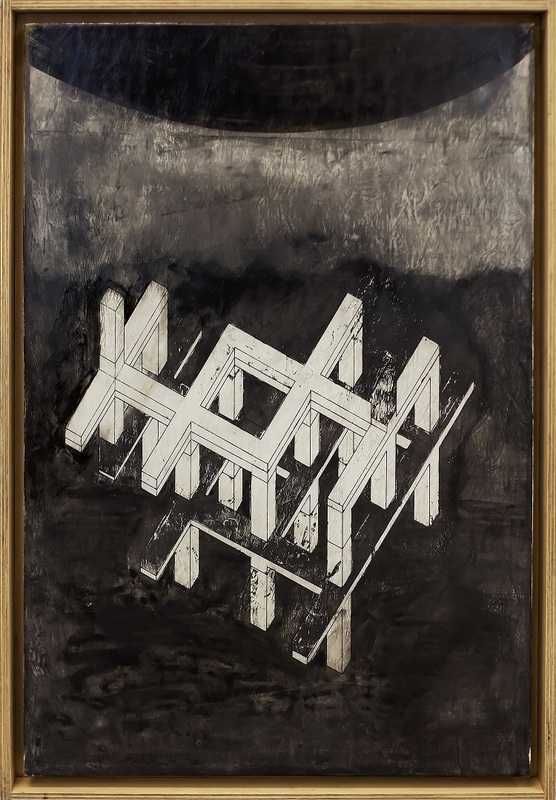 Bax's works are imbued with a vulnerability that contrasts with the apparent strength of these materials and the view of the big city as durable. Other artists draw upon real places and existing structures or buildings to re-imagine the city. 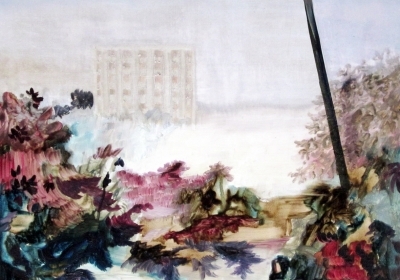 In City Park, a painting by Freya Douglas-Morris, a white tower block floats amongst an otherworldly landscape, bringing to mind Le Corbusier's modernist dream of vertical garden cities. Douglas-Morris's works are based on her personal experiences of both rural and urban landscapes encountered whilst travelling and artist residencies in Barcelona and Berlin. 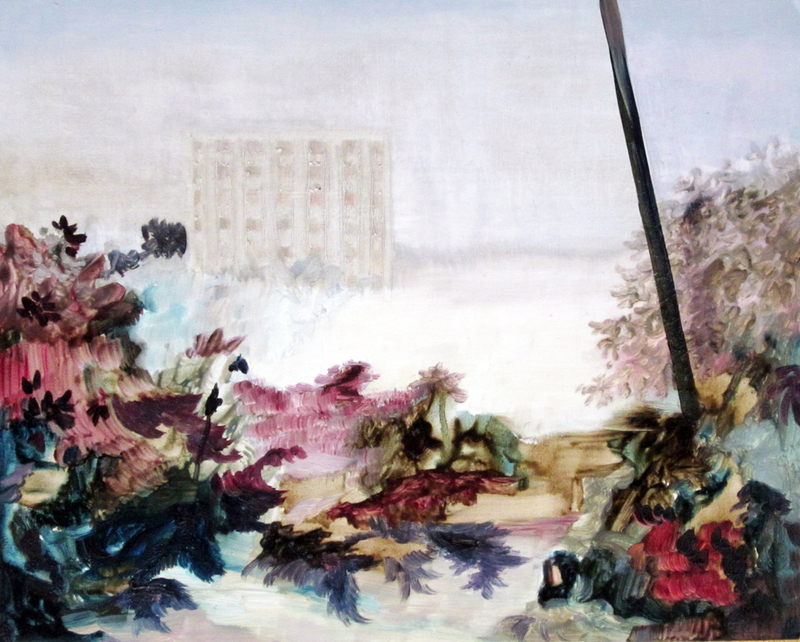 Borrowing elements from architecture, city structures and natural terrain, she creates dreamlike, hybrid landscapes that are more concerned with memory than the depiction of known places. In his paintings and works on paper Benjamin Jenner creates imagined worlds more aptly navigated by the mind than the body. Referencing existing structures, shapes and styles found within the urban environment, the cityscapes he creates are neither utopian nor dystopian, but exist as propositions – neutral frameworks where we can explore and dream. Since the beginning of written history, the city – from Babylon, Sodom and Gomorrah to Rome - has been held responsible for the ills of society and depicted as a place of vice and corruption. The drawings of Marcus Cope reflect on the lure and trappings of the city and the desire for a simpler, slower life. 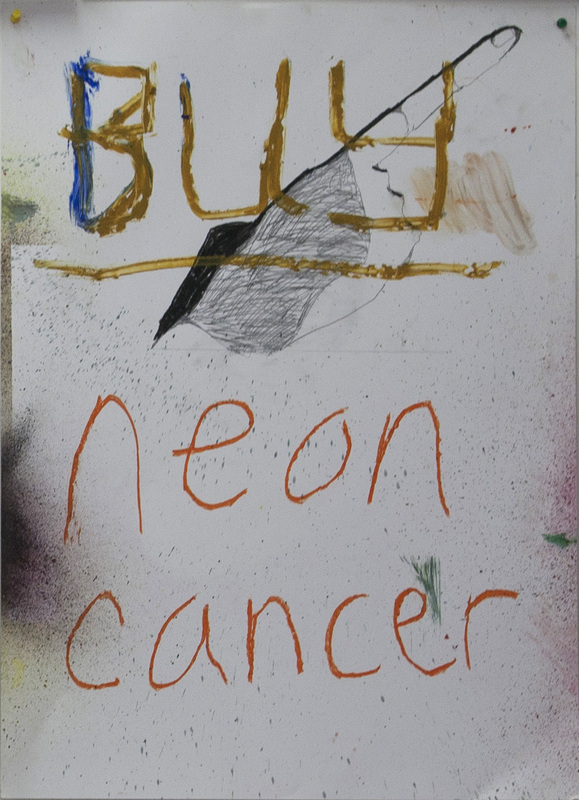 In drawings such as Buy Neon Cancer and Thicker, Cope raises questions about modern urban living, its wider implications and the damage that it creates globally. 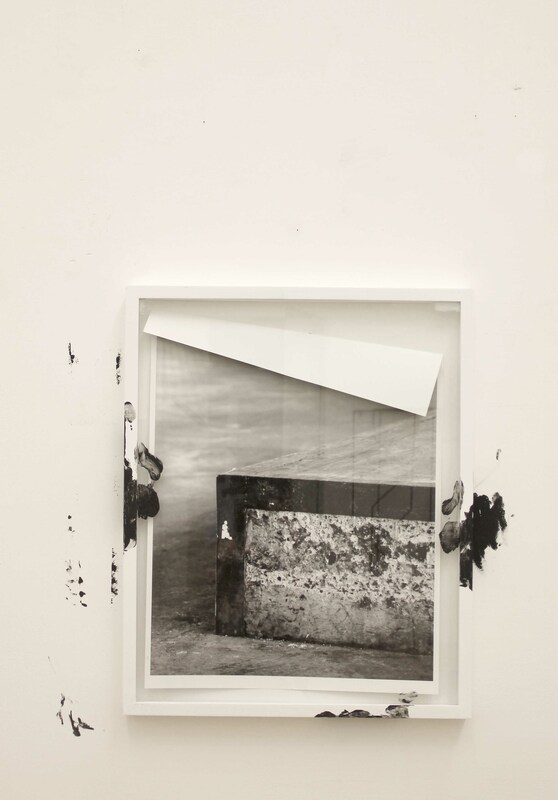 Other works in the exhibition reflect on the deterioration of the cityscape in the current economic climate. 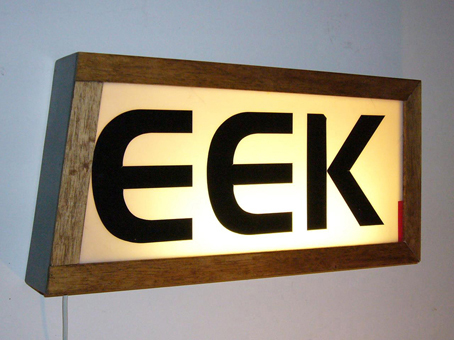 The series of light-boxes by Christopher Bond comment on the impact of independent shops and restaurants that have been eclipsed by big superstores, chains and franchises. Constructed from re-claimed restaurant and shop signs, Bond's witty, phonetic statements utilise the iconic typefaces of the city. 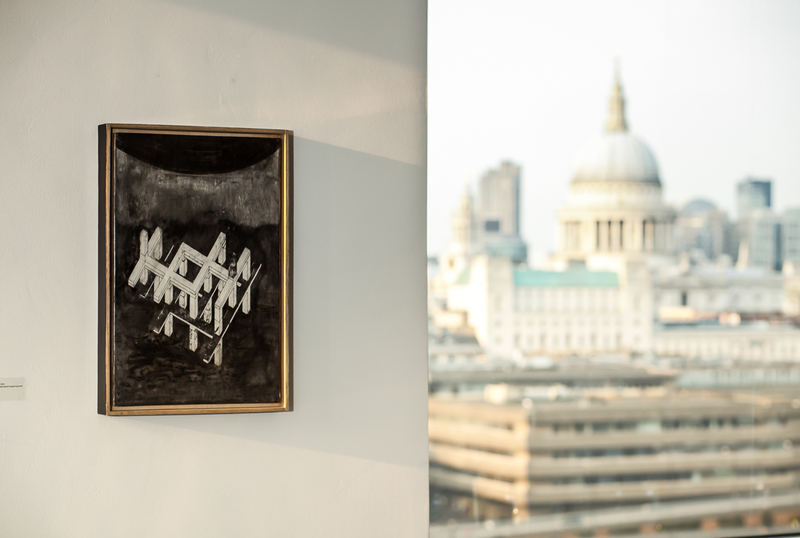 Signs of the City is the third exhibition curated by Drawing Room in collaboration with UBM plc for the top floor of UBM’s London headquarters building. Now in its second year, See Think Different aims to promote and support emerging artists within a local – and global – company environment. 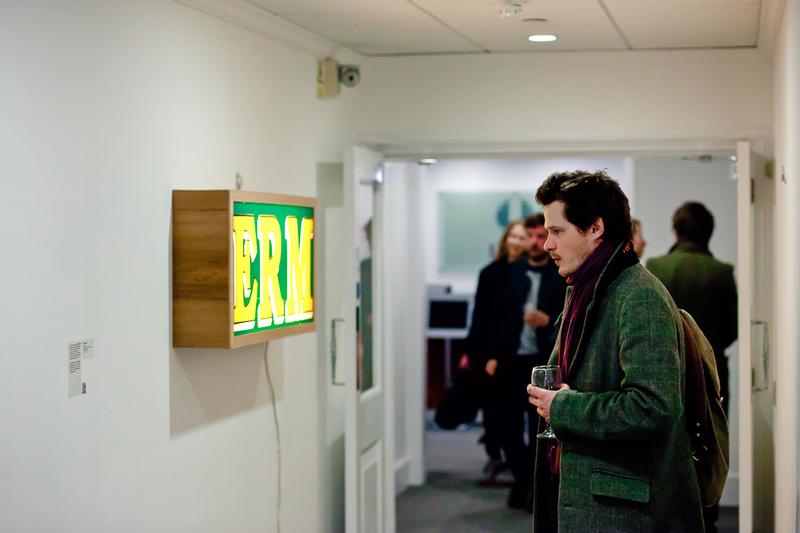 During the exhibitions, Drawing Room curators and participating artists give lunch time talks, enabling UBM staff to gain further insight into the exhibition and find out more about the artists involved. This collaboration also trains an emerging curator, providing them with the opportunity to support the professional development of emerging artists within Southwark and to gain invaluable practical experience of working collaboratively with both Drawing Room and UBM.